Look how it is blending in! Poor butterfly! But it is beautiful! They are such a beautiful thing to see. This is sad to see it's pretty wings broken. I had one in my driveway not long ago that either someone ran over it, but it didn't look smashed. Felt so bad. Agree, they are hard to capture on camera, but I did this late Fall. It was so busy on some of my late flowers that it stayed and stayed so I got some nice ones of it. We haven't had so many in the past few years so I was pleased to see this one visiting my late blooming Fall flowers. 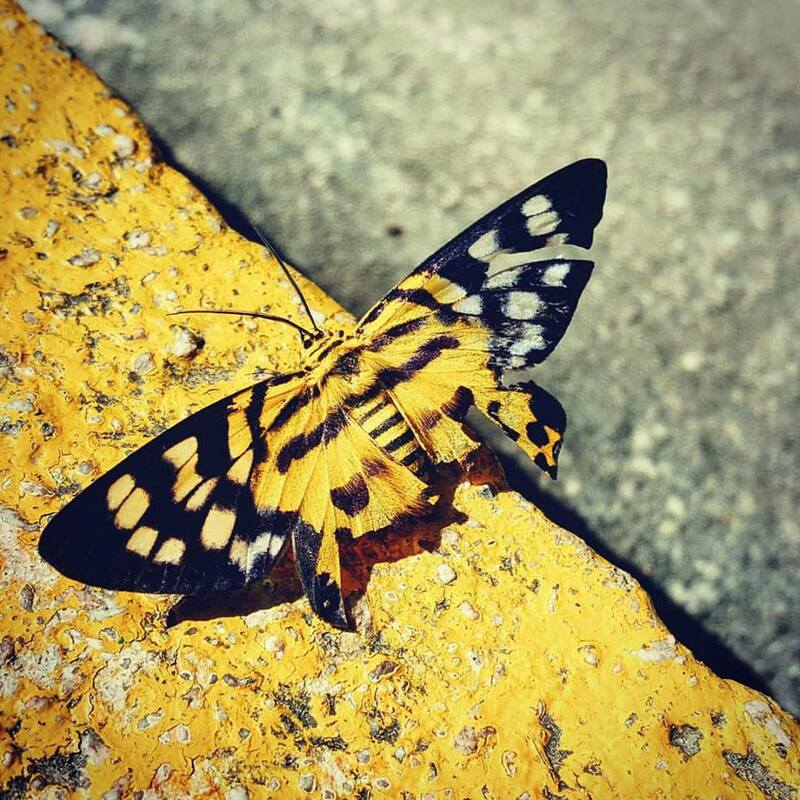 Sad for this beautiful butterfly - he looks wonderful . The butterfly makes me sad - beautiful photo though. I have been surprised by how they can fly despite their injuries. I hope s/he is ok.